I wanted my dresses to be constructed like buildings, molded to the curves of the female form, stylizing its shape. With that as a stated goal it’s no wonder that the love affair between those who star on the silver screen and those who create couture has been long and passionate. 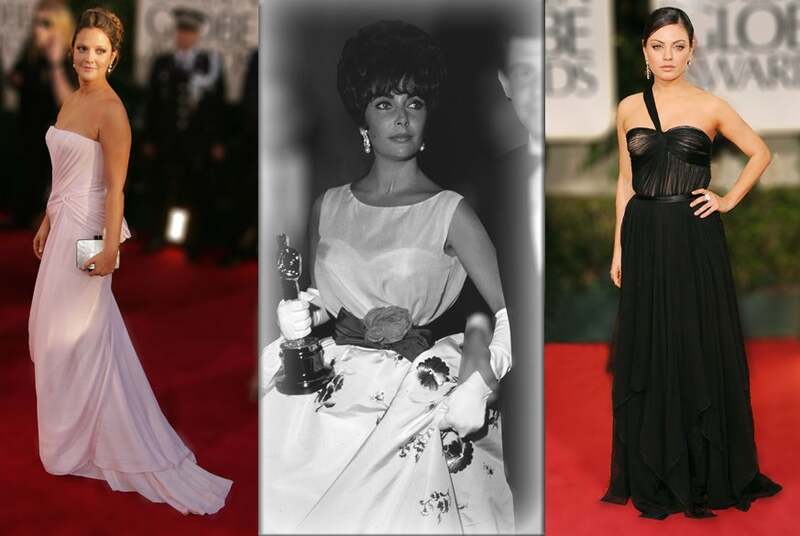 As Golden Globe winner, Adele, would sing, 'We have history.’ The link between Hollywood and Haute Couture is not new. Like bees to pollen, the great masters' creations attract the talented, powerful and wealthy. Wearing a garment fashioned by the legends in the field is a stamp of arrival, helping to generate a mystique that is mutually fulfilling. One of the premier – and early – purveyors of style for screen and red carpet is the House of Dior. Some of the most iconic red carpet visuals have Dior’s magic as their base. From his house’s inception couturier Christian Dior understood the frisson of the well-clad star: Maison Dior’s first fashion show, in 1947, was attended by Marlene Dietrich; in 1956 Grace Kelly chose Dior for her engagement ensemble; and in 1958 the blend of designer and star was complete when Ingrid Bergman made an indelible impression in a jardin d’hiver dress and coat in the film Indiscreet. 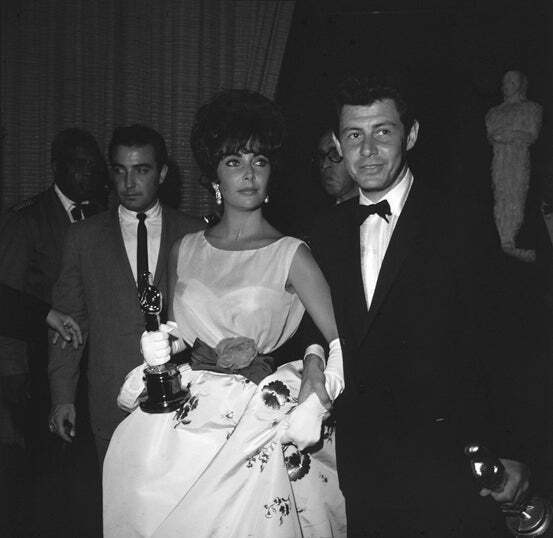 From there it wasn’t much of a leap for designers to be featured on the red carpet, as when Liz Taylor wore Dior when she picked up her Oscar for Butterfield 8 in 1961. 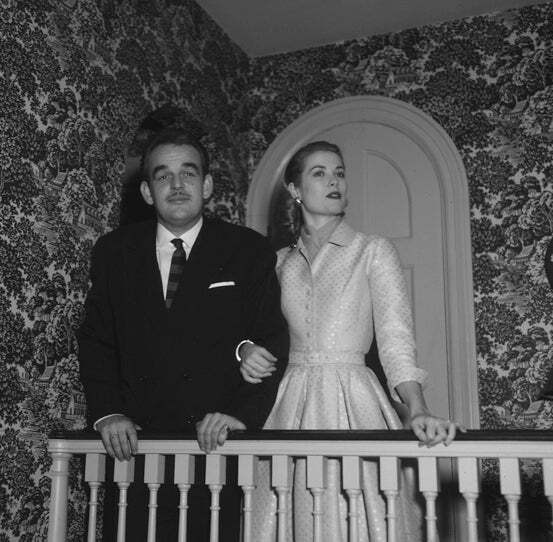 In January of 1956 Grace Kelly (wearing a Dior) announces her engagement to Prince Rainier of Monaco. Part of the reason that thespians seek the association with fashion – while at the same time bemoaning the media’s obsession with it – is that the top design houses excel at bringing out the best of an individual. It’s therefore no wonder that stars who are constantly looked at, photographed and judged flock toward those who can brush them with the patina of effortless élan. The power of haute couture is not restricted to women – men too are not immune to the seduction of design. The cookie-cutter tuxedos of menswear have given way to a Dior specialty: a refined minimalist look with a deep v, a single button closure and a shawl or notched collar that accentuates the wearer’s height and shoulder width. The attraction is mutual. In 2013 Dior Homme capitalized on the charisma of Robert Pattison, and this year signed actor Boyd Holbrook (Gone Girl). Jude Law and Jamie Dornan have also been aligned with the house, helping to propagate the idea that grooming is cool, while making men’s trends a talked-about issue. In the heyday of Hollywood Olivia de Havilland, Marilyn Monroe and Sophia Loren were to be found smoking among the fabric samples of the House of Dior. More recently the house has harnessed the power of actresses in direct endorsements. Natalie Portman, Jennifer Lawrence and Marion Cotillard are just some of our talent du jour that utilize the mutually beneficial association between Icons of Fashion and Icons of Film.